As part of PopMatters’ week-long celebration of the 40th anniversary of the Beatles’ self-titled double album, we’ve asked Bill Gibron and Zeth Lundy to discuss the record’s importance and impact, and why it continues to resonate within popular culture some four decades later. If the Beatles were the Messiahs of Music, then their self-titled follow-up to Sgt. Pepper’s Lonely Hearts Club Band was and is their Bible, complete with contributing Gospels according to John, Paul…George, and Ringo. Born out of an attempt to find a spiritual center within their growing superstardom, the disenchanted lads from Liverpool were growing up—and growing restless. The death of manager Brian Epstein still weighed on them, and a recent trip to India had produced little in the way of enlightenment. What it did create was a kind of aesthetic purge, a proto-punk decision to strip away the artifice and ‘get back’ (to coin a future phrase) to their origins. 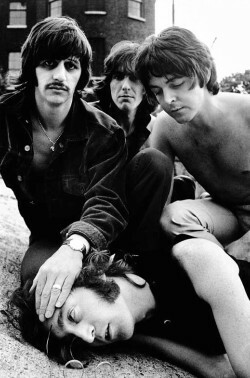 A mix of straight ahead rock, lo-fi acoustics, personal reflection, rambling cockiness, and a minor amount of Lennon’s newfound avant-garde gumption, The Beatles was viewed as a direct retort to their previous concept epic. But as with anything Beatles, it was also more than that. Indeed, the so-called White Album also became the last-act rebuttal to a Summer that was more socio-political lust than love. But what does it all mean some 40 years on? Can anything akin to clarity come from something that, by all accounts, should have been shaved down to the classic sonic cliché—i.e., a single “good” album? In many significant ways, The Beatles represents the end of the counterculture. It signals the moment when the meaning was drained out of flower power. It pissed on the predilection to “tune in, turn on, and drop out” and provided the band with the first of many catalysts for their eventual bad vibe breakup. Unlike everything else in their astonishingly short career (they hit it big in ‘62, and were a professional postscript a mere eight years later), there seemed to be no purpose, no rhyme or reason to the album’s existence. Like the hit or miss compilations at the beginning, there was an absence of theme, a lack of stylistic cohesion. Unless you want to consider backwards glancing experimentalism a model, this was merely a collection of tunes. But what a brazen, ballsy anthology it is. Whenever someone suggests that The Beatles be pared down to a stand-alone LP, the inevitable debate arises—what to get rid of? Do we junk Ringo’s two contributions (the self-penned “Don’t Pass Me By” and the closing lullaby “Good Night”), or marginalize an already underappreciated George (who, by this point, was backlogging an impressive list of soon to be classics). Sure, “Wild Honey Pie” seems like a joke the band forgot to let its fans in on, but in the context of the two songs surrounding it—the reggae-fied “Ob-La-Di, Ob-La-Da” and “The Continuing Story of Bungalow Bill”—it makes fractured genius sense. Naturally, there are many who point their still strident “no Yoko” fingers and find nothing but noise in Lennon’s self-indulgent sound collage “Revolution 9”, and yet what it represents (the zenith of the boys attempt to grow beyond their mop-top merchandising) gets lost in the lambasting. Having retired from touring two years before, the Beatles were both inspired and stifled by the studio. In that regard, The Beatles often sounds like a set list for an abandoned tour, the rollercoaster realities of a band that could handle almost any aural approach with amazing skill and dexterity. As the aforementioned noise track suggests, the material here feels raw and unfinished, few tunes taking on the fully formed awe of “A Day in the Life” or “Penny Lane”. It’s as if each member of the group, locked in his own little world while exiled away in India, decided that there was nothing left to fight for—at least, not as pop culture icons. Instead, it was going to be about the art from here on in, no matter what form or figure it decided to take. Amidst all the quitting and complaining, the studio session struggles and individual inspirations, it was time to upend the untamed excesses of their Magical Mystery media image and return to their roots. It’s no surprise then that, after this professional purgative, the boys only had a couple dozen songs left in them. Yellow Submarine would see a quartet of paisley plied outtakes, while Abbey Road and Let It Be became the pro and con of the band’s rekindled spirits. After climbing the Everest that was international iconography, and standing on the world’s highest precipice in rapt determination on what to do next, the Beatles decided to do something totally unheard of. Instead of playing it safe, or retracing their steps into retirement, they resolved to step up to the edge, and jump. It was more than just a leap of faith though. It was, perhaps, an attempt to leave their Earthly shells behind and finally find the spirituality their journey to Rishikesh failed to provide. The Beatles does have the aura of legends lost in a void of infinite variables. 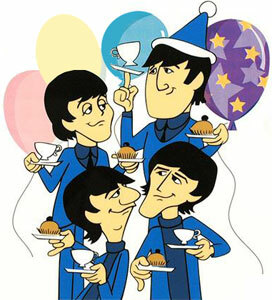 That they decided to explore all of them before finally falling apart stands as the reason the Beatles remain timeless. It’s also why this record is considered a classic. Every time I listen to The Beatles, I regress. Although every Beatles album will be forever linked to my childhood, their 1968 double-LP—the ninth official full-length studio album the group had released within a five-year period—is especially conducive to sudden bouts of youthful nostalgia. It’s the one album where the band really gets back, a motley patchwork of nursery-rhyme ditties and communal sing-alongs; it is, on its surface, a collection of songs about tigers, blackbirds, raccoons, monkeys, and piggies, songs that are alternately fleeting and preoccupied, songs both abstract and concrete, songs that turn gibberish into mantra—the stuff of pop fantasy and digressive whimsy that is so appealing to the less grown-up geography of our so-called sophisticated palate. But The Beatles is, aesthetically, its own regression, a regression into the tropes, truisms, and motifs of rock ‘n’ roll’s creviced shell. It’s a chameleon of form, hollowing out the foundations of Chuck Berry and the ghosts of British music hall, moving from faux reggae to pastoral folk, from reductive blues jams and progressive proto-metal vamps to whispered balladry and late-night lullabies. The Beatles both summarized the splintered British music scene of the late ‘60s, with tongue firmly in cheek, and served as a crib sheet for its origins. Self-referential, perverse, and impishly stock-taking, The Beatles is the first post-modern pop album: it nestles into form and fractures it, making the familiar suddenly fantastical, for the first time and for all time. Formally, therefore, the songs on The Beatles aren’t always up to classicist snuff. The puzzle-piece functionality of a song like “Happiness Is a Warm Gun” replaces the compositional neatness of a past song like “I Don’t Want to Spoil the Party”, to pick an arbitrary example (or even a more similar experiment like “A Day in the Life”, which still attempted to emulate the existence of a middle eight with its pasting-together of separate sections), while tracks like “Helter Skelter”, “Why Don’t We Do It in the Road?”, and “Yer Blues” eschew any sort of formal ingenuity in order to satisfy more primal urges. This isn’t to say that these songs are inferior examples of the Beatles’ genius, but for the first time (perhaps the only time) Beatles songs were being dictated by mood, imagery, and/or instinct rather than by compositional intellect. To put it another way: The Beatles appeals to us on a gut level. It’s pop music that’s unhinged and presumptive, excitable and unashamed, blessed with the unpredictable acumen of a mood swing. This is an incongruous menu of music, and our brains duly inform us that it shouldn’t make any sense, that it is all too much, a consequence of our gluttonous desires for more. But it does work, against our better judgment: it is a place where ambivalent political sentiment can rub up against a sentimental showtune distraction, where declarations of carnal and spiritual love can exist in close proximity. It works because it wills itself to work, and because the child inside us deems it so.